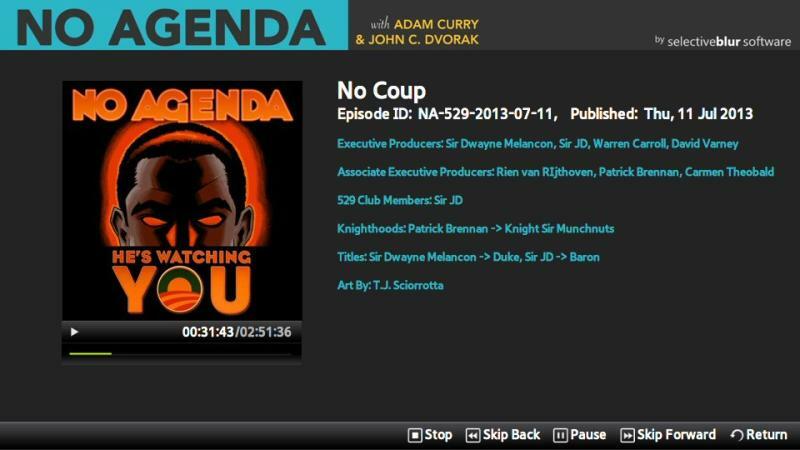 The No Agenda Show is hosted by Adam Curry and John C. Dvorak, recorded twice a week on Thursday’s and Sunday’s. 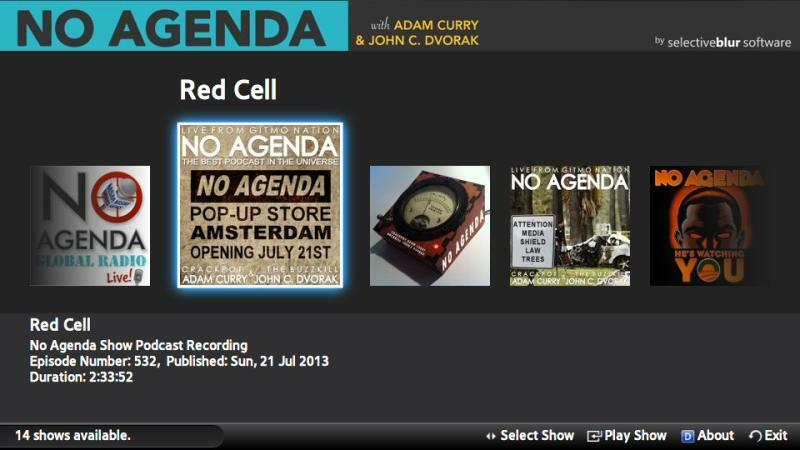 The show is a free-flowing conversation that deconstructs recent news and media memes. Much of the appeal of the show comes from the odd couple relationship between the hosts. 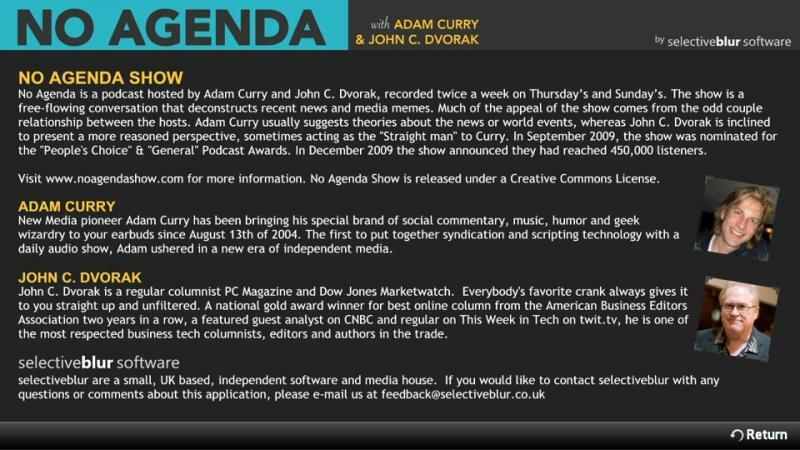 Adam Curry usually suggests theories about the news or world events, whereas John C. Dvorak is inclined to present a more reasoned perspective, sometimes acting as the "Straight man" to Curry. 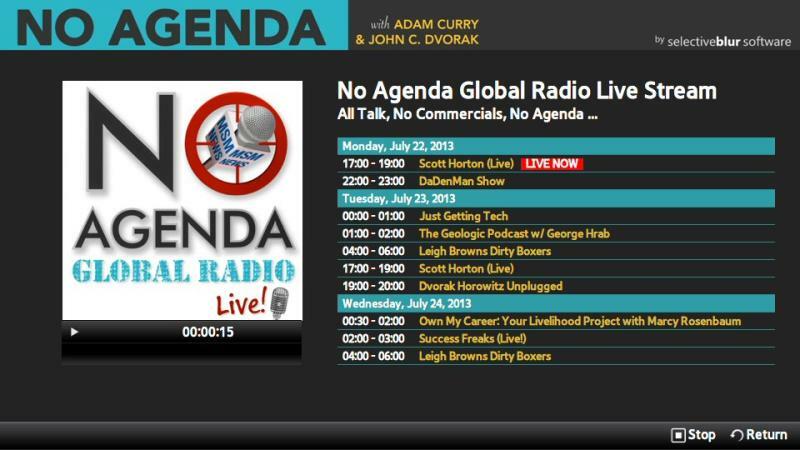 The No Agenda Show application enables you to listen to previous shows on-demand or tune in to the No Agenda Global Radio live feed to hear the show being recorded live.